A well-known criminal lawyer wants the Government of Grenada to take immediate legal steps to accommodate Canadian visitors who need to use marijuana, despite the island’s law prohibiting the use of the drug. Anselm Clouden who has been a vocal advocate for the decriminalisation of marijuana over the years for both medicinal and religious purposes said that if Grenada fails to provide such accommodation, this can lead to a backlash from the Canadian Government. Canada as of Wednesday legalised the use of marijuana for both recreational and medicinal purposes. In most provinces and all the territories, people will be allowed to possess 4 marijuana plants per household. 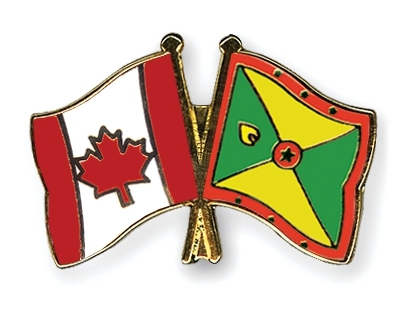 “Grenada now needs to take steps to protect the thousands of Canadians who will be visiting the island for business or pleasure,” said Clouden who has represented a number of nationals and visitors who have faced marijuana possession-related charges. “It is not that Canadians will be refused when they enter St George’s. What is going to happen is, they will be apprehended, fined or may be imprisoned and that is going to do tremendous harm to the tourism industry,” Clouden said. “You may very well have an advisory coming from Canada warning its citizens to stay away from Grenada if they are ill and have to travel with medicinal marijuana or alternatively if they recreate with it,” Clouden said. He is recommending that Grenada adopts some of the measures instituted by Jamaica. “We have to look at what Jamaica has done, where visitors coming in with cannabis will have to declare it at the airport, declare the quantity they are coming with and if their stay exceeds a certain period, they will have to be permitted to bring into the country for their own personal use, added quantities,” he advised. Patricia Maher, Chief Executive Officer of the Grenada Tourism Authority has confirmed that when compared to previous years there are record visitor arrival numbers already logged from Canada for 2018 and as a result of the demand for Grenada among Canadians, Air Canada is adding a new flight as of mid-December. She said that starting 18 December 2018 Grenada will have 3 direct flights per week from Canada’s Toronto Pearson International Airport on Tuesdays, Thursdays and Saturdays. “This additional weekly flight will give Canadians more options to fly from Toronto direct into St George’s, Grenada. This is fantastic news for us as airlift is critical to the continued growth of our destination’s tourism industry, this can only lead to more visitors” said Maher. Statistics from the GTA shows that since 2009 more and more Canadians are choosing to visit the island. In 2015 it was 10,790 visitors, in 2016 the record shows 10,723, and in 2017 it increased to 11,383. Master Clouden’s argument may be somewhat suspect as I wonder whether the imprecise representation of Canada’s marijuana laws was deliberate. Canada in fact legalized the use of marijuana for medical purposes back in 2012, I believe. The whole issue of legalization of marijuana for Recreational Uses is a vastly different i and I fear that it will prove to be madness for Canada, as it would decidedly be for Grenada. SOuth Africa has relaxed the laws as well. The impact Canadian and SA visitors on Grenada? Only ill people need cannibis oil. How many ill people travel. Impact : zero. Make a proper arguement . Yours is Bull!